We provide professional Singers, Musicians, Choirs and Bands for any occasion from Weddings, birthday parties, Corporate / Community events, Bar Mitzvah’s and more. We pride ourselves on the quality of singing and musicianship that result in a great performance, excellent service and happy clients. Our head office is in Manchester and we have teams in Chester, Midlands and Liverpool. The majority of rehearsals will take place in Manchester and we cover events across the UK and abroad. We are looking for experienced singers & musicians to join our agency. 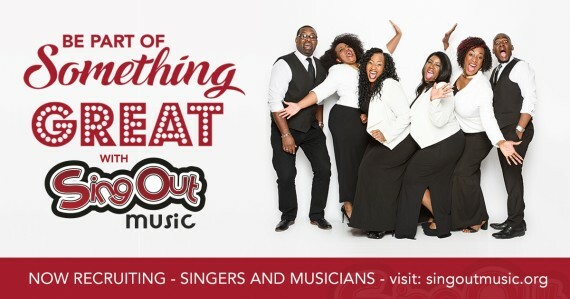 If you are interested please send your music CV to office@singoutmusic.org detailing your experiences and skills accompanies by a video recording of yourself and a picture. This can be taken on a mobile phone. Successful applicants will we invited for meeting. Once successfully through this process you will be added to our register and the journey begins.